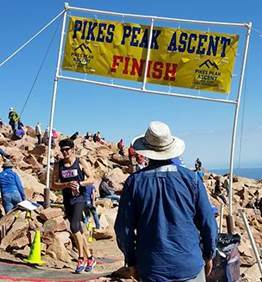 CJ Hitz is a USATF Certified Running Coach with a passion for long distance running. 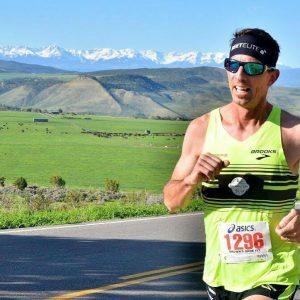 CJ loves working with local runners in the Colorado Springs area and coaches runners of all levels online in locations all over the world. His primary interest is to help runners squeeze out more of their potential and ability by improving the quality of their training and nutrition. 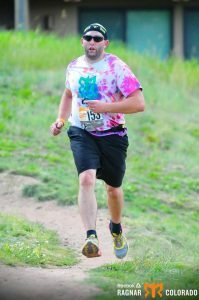 As his latest book is titled, CJ’s goal is to help runners “start off on the right foot” by implementing healthy habits that lead to a lifetime of successful running. Save time by having your weekly training plan customized to your needs. Run faster! Maximize your running potential and hit new PR’s by integrating proven training methods. Finish your first race at a new distance (i.e. 5k, 10k, half marathon, marathon, 50k). FINALLY be consistent by giving you weekly accountability. Due to the time intensive nature of private coaching, we do not offer refunds. Limited Spots Available: CJ wants to make sure that he gives focused attention to each of his coaching clients. Therefore, he only accepts 10 private coaching clients per month. To get started with private coaching with CJ Hitz, please contact CJ here. Includes 5k, 10k, half marathon, marathon, and 50k distances. After a one-time 30 minute consultation with CJ, he’ll write out a customized training plan based on your running experience and geared to help you achieve your goal! To get started with your customized training plan, please contact CJ here. “It is simply invaluable for an athlete to have that one objective and knowledgeable voice providing insight during a training process. CJ helped me understand running and find my limits beyond what I would have accomplished myself. Within weeks I was breaking PRs and running further than I ever had before.